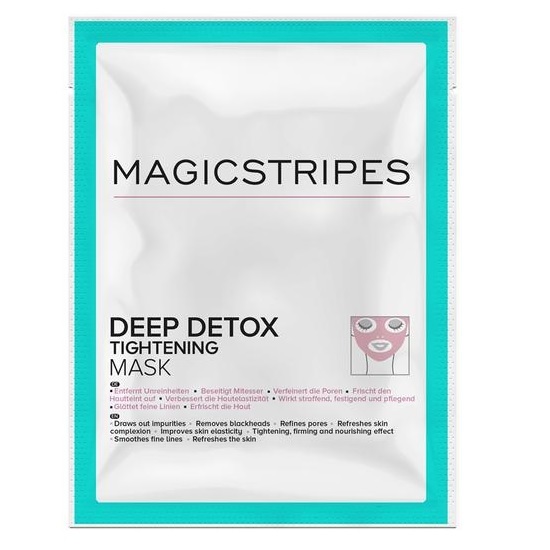 MagicStripes is a facial mask brand that mends your face’s imperfections instantly and effectively, without the need for surgery. The brand was established by Natalie Franz, a makeup artist with over 15 years experience. She has worked with renowned actors, models and musicians such as Lady Gaga, Taylor Swift and the Black Eyed Peas, as well as photographers like Steven Klein, Ellen von Unwerth and Karl Lagerfeld. The creator uses the products in daily life with her clients during catwalks, live shows and photo sessions. The inspiration to create MagicStripes was born during a trip in Tokyo. In Asia big, round eyes are considered as ideal beauty, hence why women have been using these sticky strips for a few years so as to open their eyelids and in doing so enhance their look. Natalie Franz introduced these innovative cosmetics to the European market, where they have been an instant hit. 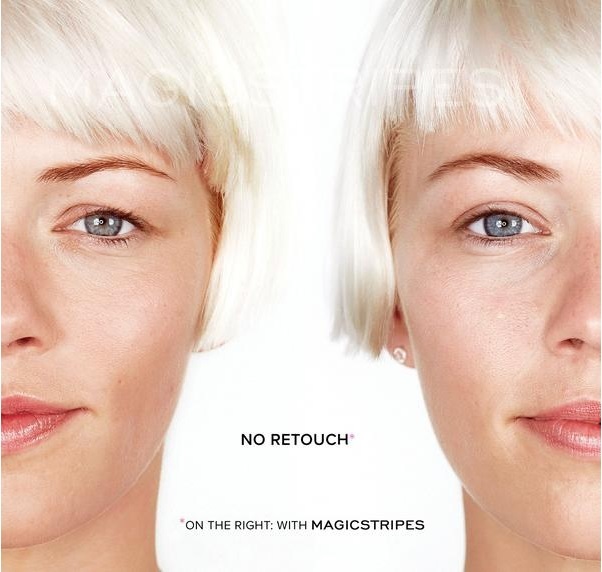 MagicStripes gives you extraordinary results without wasting time and effort. Plastic surgery is no longer needed to get visible and effective results, with these masks you will feel and look better as they visibly improve your face’s imperfections, giving you the same results as surgery without the risks that this entails. With these products and tricks you will get almost identical results than with plastic surgery. Why risk going under the knife? Below you can find some of the “tricks” that will help you to look radiant, giving you splendid results. These are soft, sticky strips that mend droopy eyelids, giving you a younger look instantly. Natalie modified the MagicStripes that were founded in Tokyo, modifying them to the European eye. They are easy and simple to use. Clean your eyelids before putting the strip on, peel back the adhesive strip, tilt your head back slightly and put the strip in the crease of your eye. The results are immediate and long-lasting. Once put on, you can apply makeup up as normal and you’ll be ready to see the results for yourself. They are ideal for both genders and all ages. The strips can be found in three sizes: the small ones (S) are ideal to enlarge your eyes and give you a moderate lifting, the medium ones (M) are perfect for big eyes and an intense eyelid lifting and the large one (L) are designed for big eyes, giving you maximum eyelid lifting. 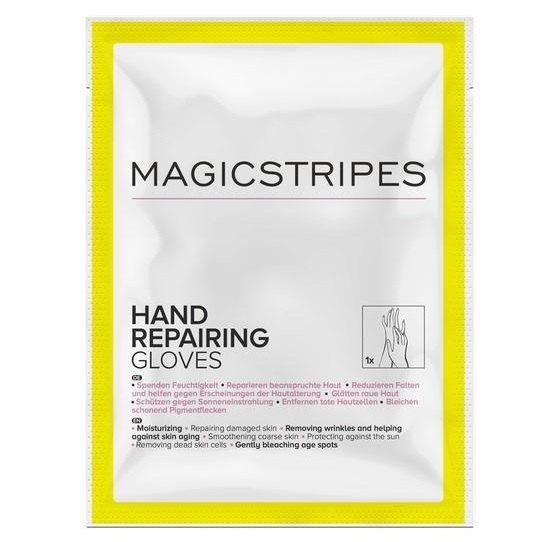 MagicStripes doesn’t just look after your face, the MagicStripes Gloves repair, hydrate and stimulate your hands natural regeneration thanks to its shea butter, vitamin C, olive oil, hydrolyzed collagen and Rosa Rugosa leaf extract. The gloves repair damaged skin and help to leave your skin soft and hydrated. Creases and expression lines will be reduced, and pigment stains are reduced. An Elastic clay mask that reduces wrinkles and expression lines, as well as redefining your contours. After applying your skin will be clean and hydrated. Combat black spots and reduce dilated pores with the Deep Detox Tightening mask. The perfect mask to refresh and cleanse your skin, bettering its tone too. 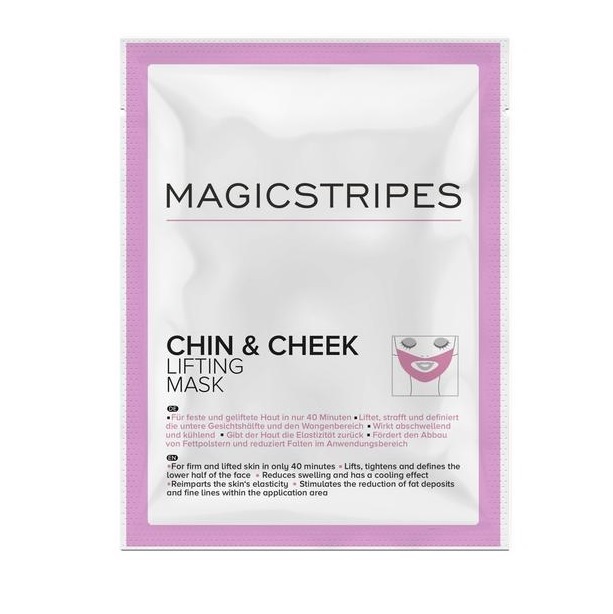 This elastic mask reduces wrinkles and small expression lines at the same time that it redefines, tenses and obtains a lifting effect for your cheekbones and chin in just 40 minutes. This hydrogel with lifting effect gives your skin its natural elasticity and lessens wrinkles. Reaffirming collagen mask designed for the bottom third of your face, in particular the double chin, jaw and cheek area. A facial lifting without surgery, this mask helps to tense and define this part of your face. Over time your skin loses elasticity and becomes a victim of wrinkles and tired features. 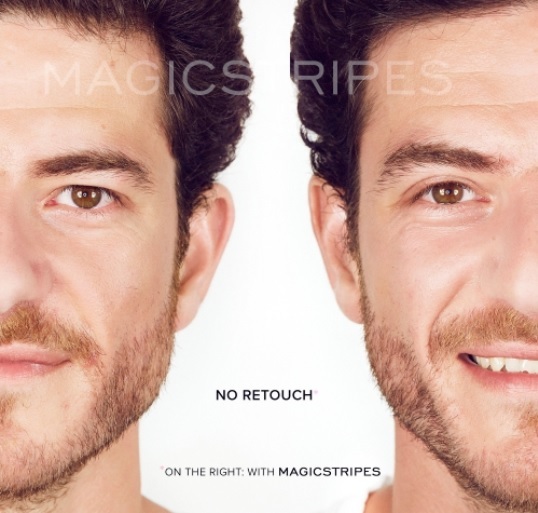 MagicStripes changes that, reaffirming your skin’s contour. 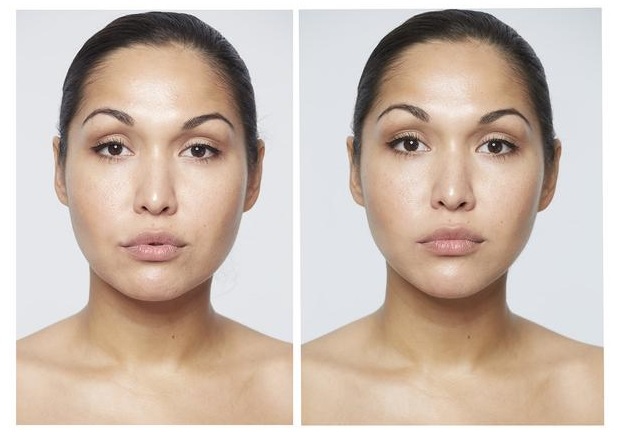 The results are surprising, your face’s features become better defined and your skin’s cutaneous elasticity improves. These are just a few of the wonderful masks that are available from the MagicStripes brand. There are masks for intense hydration, collagen eye patches and masks that reduce eye bags, etc.